Everyone I knew in Quincy, IL called their grandmothers’ “Grandma” followed by their surname. I never met a “Babi” until I met my husband’s. Her parents named her Bohemila when she was born 117 years ago today in what is now the Czech Republic. All of her 21 grandchildren called her Babi. As I came into the family I called her that too although the first time I wrote her a note, I addressed it to “Bubby” as I was sure that was how it was spelled. Much teasing ensued! Babi loved the Cubs, her garden, her kitchen where she produced delectable baked goods for all the family occasions. Her Bohemian kolachys were legendary as was the recipe…add a ½ egg shell of water and a pinch of salt. She invited me over to her Cicero home to learn the basics of canning bright green pickles and chili sauce. Once I wondered aloud about making soap and she told me to gather a coffee can of bacon grease and come back. Enough of my friends saved their bacon grease too so a few months later we spent an afternoon shaping three bars of the loveliest soap. I remember once she asked me thread a needle for her as she couldn’t see the hole well. I did it in about a second and wondered if I would ever need help with that task. Babi died 26 years ago and last week our fourth grandchild was born. What feels like all of a sudden, I am now in her role. I like the Cubs too, pretend to garden, and tried making kolachys once. I don’t have any bacon grease. I don’t think any of my recipes could be called legendary unless you count homemade pizza. Instead of pickles and chili sauce, I hope to teach the art of preserving family memories, love of celebration, following Jesus. Each month I display a few photos on our piano of past highlights of that month. 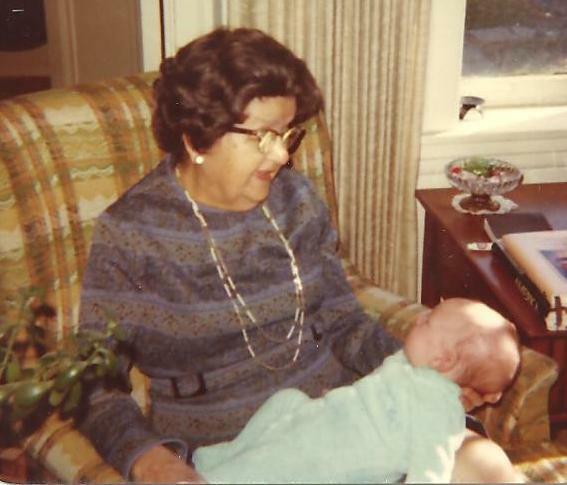 Babi and Baby with their April birthdays now sit side by side as both have/will profoundly influence us all. 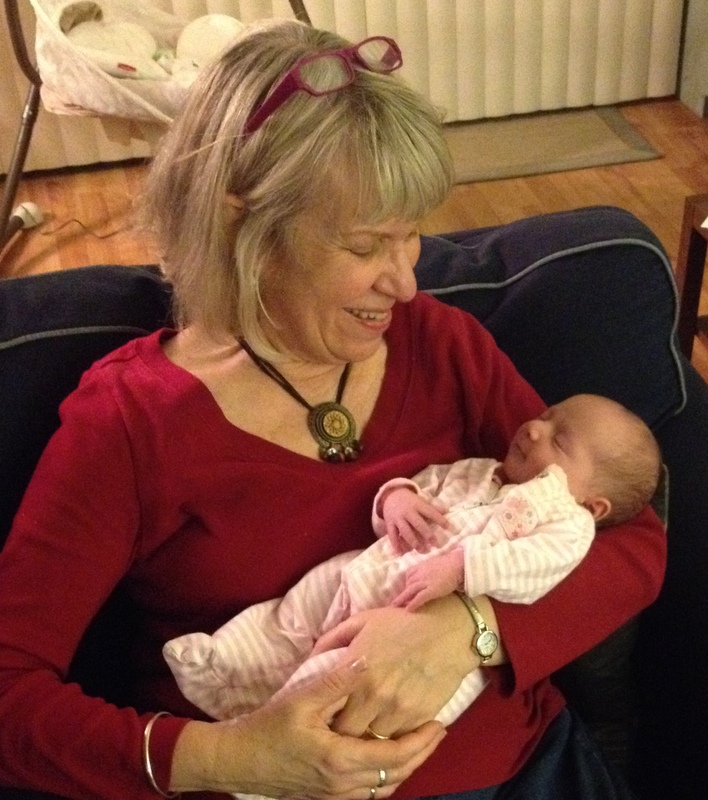 My favorite question for beaming new grandparents, what will they call you? What name did you take? Babi or Grandma Suk? Or something different? Congratulations! TishCongratulations on your new grandchild! Have a Blessed Holy Week. Thank you Elaine! Blessings to you as well. Lovely entry. It brought back many fond memories for Art. It made him remember why he loves black licorice. Can’t wait to meet the newest addition to your family!